Whereas Master’s theses traditionally must conform to a page limit determined by one’s committee, PhD dissertations, in many cases, leave the page limit up to the individual author. For many PhD candidates, the temptation might be to skip dissertation editing and proofreading, which can cut off much of the content, and to go with no dissertation editor at all. These candidates may stick to the following false formula: the more graphs, charts and appendices, the better (and lengthier) the dissertation or the more pages, the less chance for failure. So, is it worth writing as much as possible? In most cases, quantity does not trump quality, as content is much more important to your dissertation committee. They need to know what research you have done, as well as how you can analyze, critique, and defend your own results. Long descriptions of your thorny path to other researchers’ sources are not as interesting as the brief deduction of all you have found and learned. 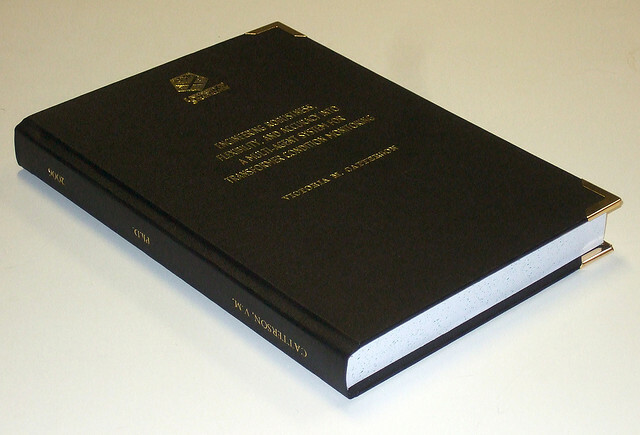 The best approach is to avoid inflating the number of pages for your PhD dissertation. There are several simple rules that can help your dissertation to not be oversized. If you procrastinate in writing your PhD dissertation, you are likely to be in a hurry to meet your deadline. In the process, you may not pay sufficient attention to what you write, instead focusing more on generating the required page numbers. Do not undermine your hard work due to a shortage of time! How? Break your work on the dissertation into chunks. Plan too to set an additional meeting with your thesis editor weekly or monthly in your schedule. And leave enough time for proofreading and editing. The PhD dissertation is a lengthy and complex document, which requires plenty of time to transform into an adequate document that is ready for defense. Planning ahead is the only way to start and finish it on time. This planning also ensures that you won’t generate random or excessive text just to reach a substantial page count. Though you are likely on your way to becoming an experienced dissertation writer, you can still benefit from polishing your writing skills. Unlike Master’s and other graduate theses, PhD dissertation students need to not only show what they have learned but showcase their original findings as well. So, additional training in research organization and writing as well as hiring a good thesis editing service are both essentials. Start by being your own editor for your PhD dissertation. Read each chapter, paragraph or even sentence aloud, and as you get a fresh perspective on your work, it will become clear where revisions can help improve clarity of communication and flow. Then read the revised text in silence and double check grammar, punctuation and spelling. Last but not least, “Have someone else, preferably a copy editor, read behind you.” If you are not lucky enough to have a friend who can be an editor for you, hire a dissertation editor who is experienced in editing dissertations to conform to university guidelines and the appropriate academic style. Use dissertation proofreading and editing services at least twice before you are going to defend your PhD dissertation to the doctoral committee. Do not require your thesis editor to “retain as many words as possible,” because good content comes from within the words’ meanings, not from the sheer numbers of words. One Comment on "The PhD Dissertation: Too Much Does Not Mean Too Good"
The dissertation is the culmination of years of hard work and study. Whether you are still in the drafting stage or you are about to defend and publish, the dissertation editors can offer advice on your dissertation’s organization and make sure your style and formatting meet your discipline’s guidelines. Leave your thesis editing to a genuine company.